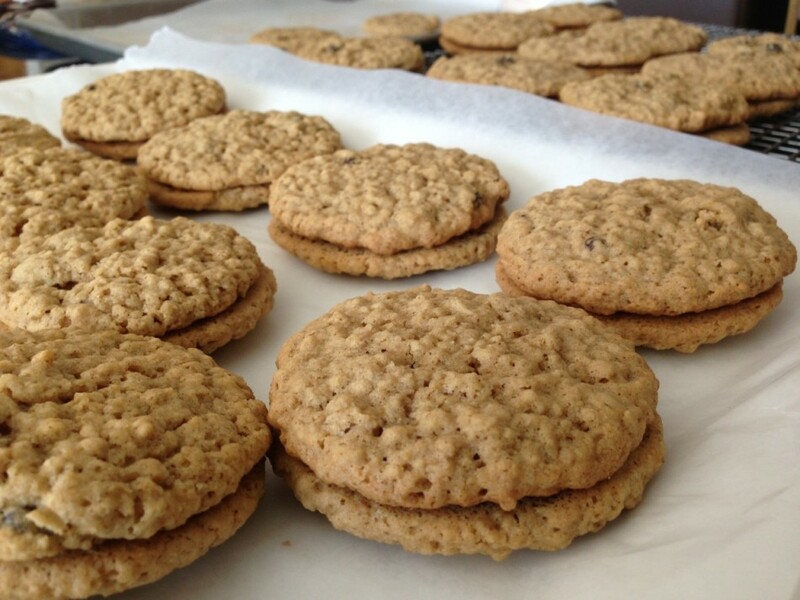 This is a new recipe for me, originated from the Pioneer Woman’s Oatmeal Cookies. Her whoopie pies looked irresistible so I just had to put my gluten/dairy/soy free twist on the recipe. I added raisins for a bit more texture and sweetness – if you don’t like raisins, swap them out for dried cherries or cranberries. Or go without for a smoother cookie texture. To make these as close as Pioneer Woman’s, we also need a ‘cream cheese frosting’ as our creme filling, so I made that too. Daiya Foods makes a ‘cream cheese’ that helps make a tasty filling with great success. Let me tell you, it’s exciting when substitutes work well! All the gluten/dairy/soy free products out there make baking (and cooking) so much easier these days. I love it. I also added a hint of orange extract to the creme filling to give it more flavor. These were pretty easy to make and freeze very well so go ahead and make a big batch. Just put them in an airtight container before freezing. 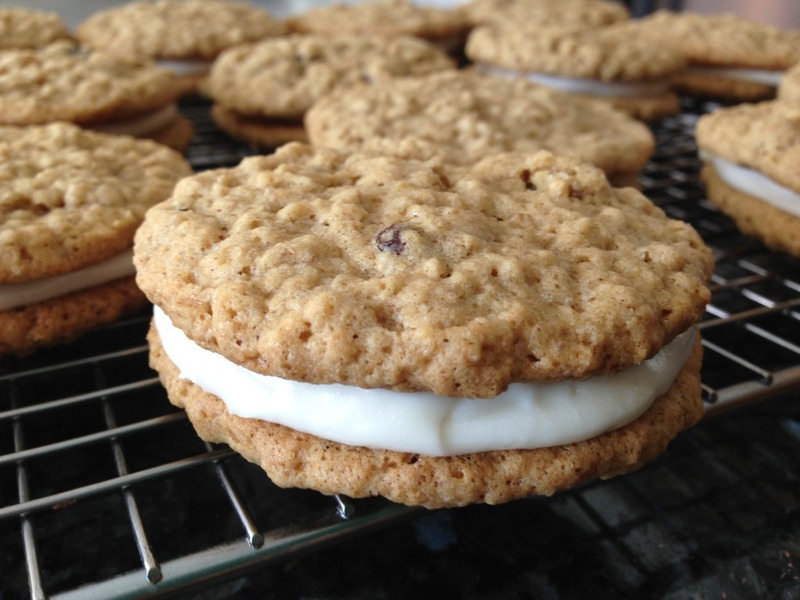 Bet your kids will love to see oatmeal whoopie pie cookies in their lunchbox, mine sure do. Don’t tell them how full of fiber these are, they won’t believe you. Or that they are gluten, dairy,and soy free. Enjoy! Edited & made even better 11/28/16! In a medium bowl combine flours, cinnamon, baking powder, baking soda, and salt. Set aside. In a stand mixer fitted with a paddle attachment combine brown sugar, Earth Balance or palm shortening, mix on medium speed for 2-3 minutes, or until it appears light and creamy. Add eggs, one at a time, or chunky applesauce. Note: if using applesauce, immediately proceed to add in flour blend. Lower the speed to low, then add flour blend and mix until blend. Then add rolled oats and raisins and mix for a few seconds, until just combined. Using a rubber spatula, scrape up the bottom and sides of the mixing bowl to fully incorporate any unmixed dough. Using a large ice cream scooper, scoop dough, and transfer to parchment-lined baking sheets, spaced 2-inches apart. Gently press down to give it a slight dent. Bake for 13-15 minutes, careful not to burn. (Mine were done at 13 minutes using my electric wall oven, but ovens vary so take a peek at 13 minutes.) Let it cool 15 minutes before transferring to cooling racks. Cool completely before filling. 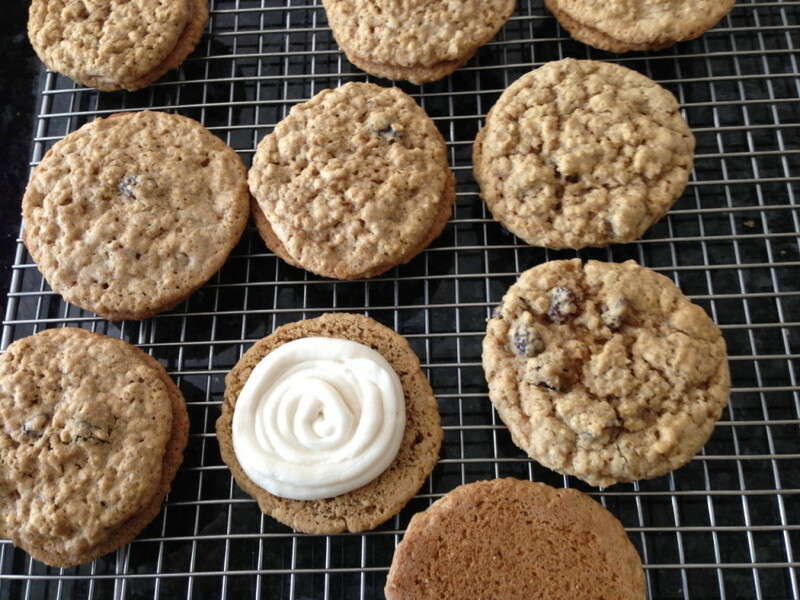 Add cream cheese filling to half of the cookies baked (recipe below). Leave a little room around the edges, it will spread when pressed down. Serve immediately, or freeze for later then thaw for 30 minutes (in the refrigerator) before serving. 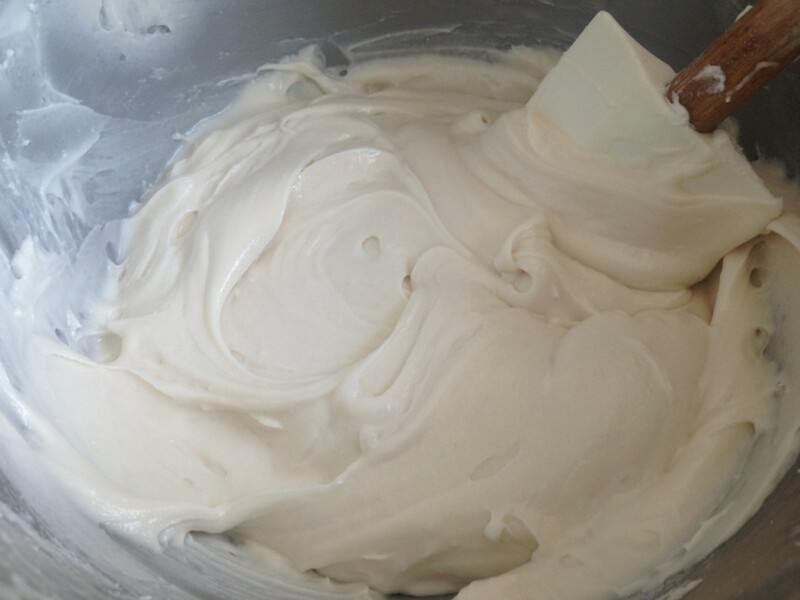 In a stand mixer fitted with a paddle attachment combine shortening and cream cheese, mix on medium-high speed for 3-5 minutes, until it appears well incorporated and the texture of frosting. Add orange and vanilla extracts and continue to mix another few seconds. Reduce speed to low, then add (sifted) powder sugar until just blended. Turn it back up to medium-high speed for another minute until light and fluffy. Transfer to a piping bag and fill (half) cookies, leaving about 1/2 inch of room around the edges. Place an unfilled cookie on top and gently press down to spread the filling to the edge. Refrigerate prepared whoopie pie cookies for at least an hour before serving. « Blog is getting a make-over! I would like to try your recipe. Have you tried this with cranberries? My children do not like raisins. You can definitely sub with cranberries, I bet it would be delicious and colorful. Let me know how it comes out! With the dreary Seattle days I needed to make cookies to cheer my girls up. I found your whoopie pies on Pinterest and had to make them, we also added chocolate chips. I cannot believe these are gluten and dairy free!! They are amazing and amazing how you adapted a Pioneer Woman recipe! So happy I found your blog Jessica!